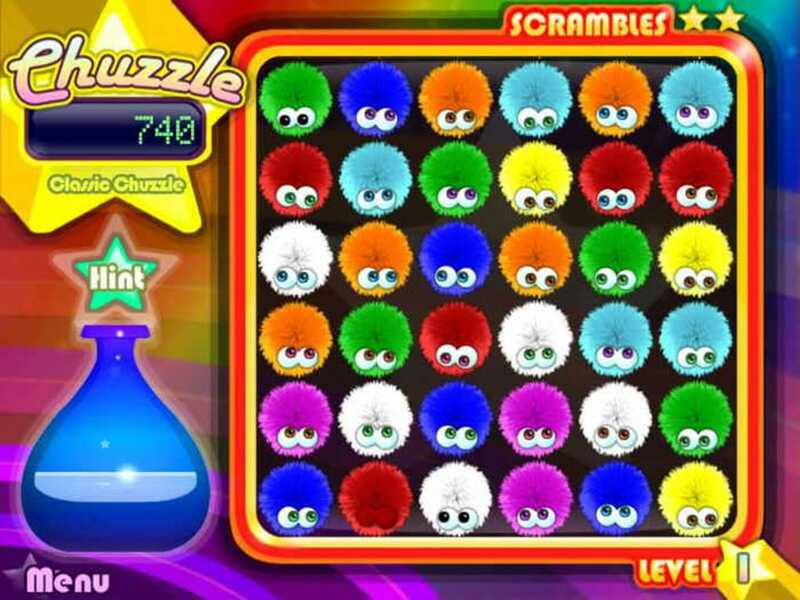 If you've ever played Bejeweled or Zuma then you may well enjoy Chuzzle Deluxe which sees you take control of some Gremlin-like fur balls that giggle, squeak, and sneeze as you poke and push them across the grid. Of course, it's not just about pushing Gremlins around. 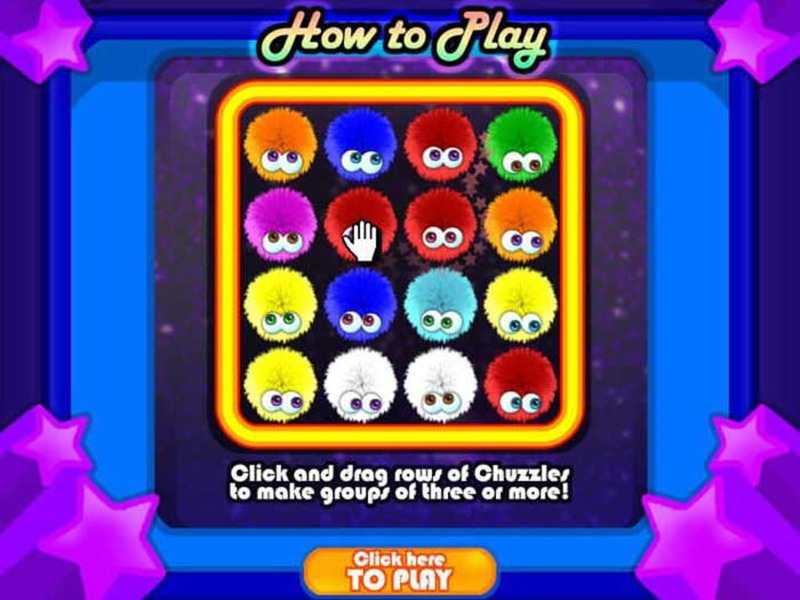 Chuzzle Deluxe is essentially a match-three game which challenges you to match as many of the critters of the same color as possible. Your aim is to win trophies and in doing so, unlock secret game features that add new levels and bonuses to Chuzzle Deluxe. The game is controlled entirely by the mouse so you can drag Chuzzles of the same color in vertical or horizontal rows. The only obstacles to your progress are 'no more moves' scenarios. These involve puzzle locks that randomly appear and lock the Chuzzles in place. In addition, some bigger (you could say 'fatter') Chuzzles end up taking up two rows at once which may or may not work in your advantage. If you get to the point where you simply find yourself without another move, you can use a limited number of 'Scrambles' which reset or shakeup the board. 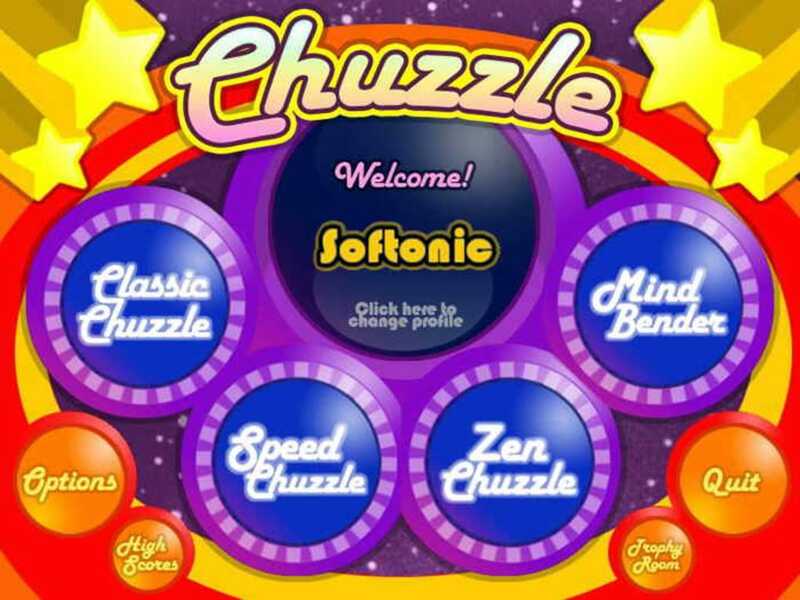 There are 4 game modes to Chuzzle Deluxe - Classic Chuzzle, Speed Chuzzle, Zen Puzzle, and Mind Bender, which is perhaps the most challenging as you have to match the Chuzzles in specified patterns. Otherwise, as the name suggests, Speed Chuzzle is perhaps the other particularly challenging mode as it sees you match Chuzzles in a race against the clock. In the end however, you can 'cheat' somewhat by just moving the Chuzzles in any old direction and the law of averages means you're bound to score points. Chuzzle Deluxe is a fun game with a bouncy soundtrack and a handful of fun playing modes. If you like match-three games, it's a decent offering. it is fun and intertaning i love playing on my grandmals phone. What do you think about Chuzzle? Do you recommend it? Why?